Caffeine is a naturally occurring substance with the ability to stimulate the body and mind. This stimulation can provide many sought-after benefits. While the energy-boosting effects of caffeine are well-documented, there is limited evidence documenting the relationship between caffeine and fat burning. Although there is research demonstrating a positive relationship between caffeine consumption and fat loss, the overall evidence is conflicting. Caffeine is a substance found naturally in more than 60 plants, with the most common varieties being tea leaves, kola nuts, coffee and cocoa beans. When caffeine is ingested, it quickly passes into the brain, where it has a stimulatory effect on the central nervous system. This effect increases focus and counteracts fatigue. Caffeine can also increase energy output, which means calories are burned at a higher rate. This is done through thermogenesis, or the production of heat in the body. Thermogenesis converts calories into heat energy. The additional calories used by thermogenesis can potentially aid in weight loss and fat burning. The mechanism by which caffeine stimulates thermogenesis, however, is not known. A study published in 2012 in "Food & Function" noted that caffeine is a thermogenic agent that may be useful in maintaining a healthy body weight and that its effects are dose-dependent. The study also noted that although caffeine does enhance thermogenesis, it also simultaneously restores energy, which may compensate for the additional energy spent. 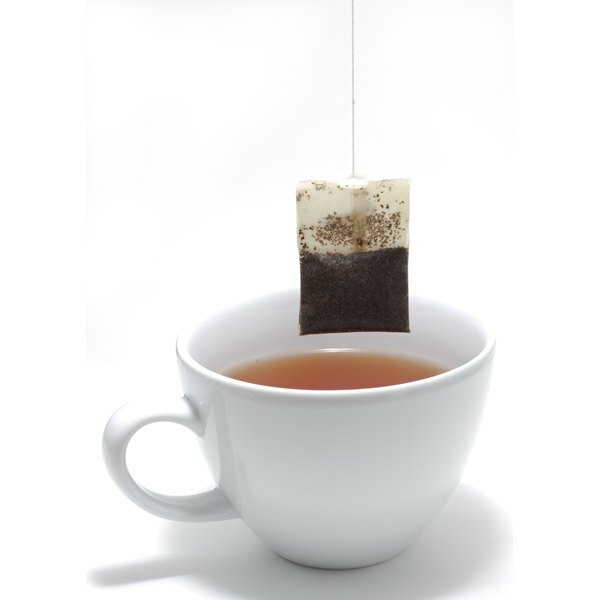 A study published in 2005 in "Obesity Research" investigated the effects of a green tea caffeine mixture as a weight-maintenance substance, for formerly overweight subjects, after weight loss. The study found that the higher-dose caffeine consumers experienced a greater decrease in fat mass, body weight and waist circumference, when compared to lower-dose caffeine consumers. The researchers concluded that high caffeine intake was responsible for weight loss through thermogenesis and fat oxidation. Those who consumed lower amounts of caffeine did, however, see improved weight maintenance through the thermogenic effects of caffeine. Although there is no debate regarding the powerful energy-boosting effects of caffeine, not all research supports the hypothesis that caffeine can aid in fat loss or weight loss. A study published in 2008 in "Applied Physiology, Nutrition and Metabolism" found that there is very little evidence to support the idea that caffeine can increase fat oxidation. But the researchers did note that individual response to caffeine can vary, with genetics being a possible factor. Applied Physiology, Nutrition and Metabolism: Does Caffeine Alter Muscle Carbohydrate and Fat Metabolism During Exercise?